There’s more out there than Kidz Bop, thank goodness. Silent classrooms are a thing of the past. Teachers these days know that music has a lot of proven benefits, like helping students study or improving the overall class mood. You can assemble your own playlists or use streaming music services, like Pandora and Spotify, to do the hard work for you. 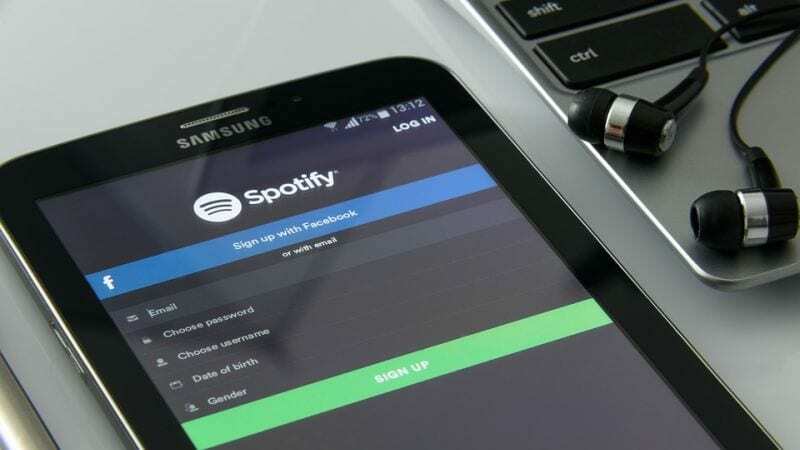 The members of our WeAreTeachers HELPLINE Facebook group recently shared their favorite Spotify playlist recommendations for kids of all ages. Check out this list for new ideas when you just can’t handle one more Kidz Bop tune! This playlist, assembled by missbensko and recommended by Sara G., includes 30 hit songs you’ll remember and kids will love. “I use Jack Johnson a lot,” says Dominique T. “He did the Curious George soundtrack as well.” These laid-back songs will please younger and older kids, and adults too. Younger kids (and probably some not-so-young kids) will love these original Disney favorites from movies like The Little Mermaid and Frozen. Thanks to Johanna H. for this recommendation. Amanda M. recommends this classic 60s folk-rock group, whose music remains popular and loved today. Perfect for younger ears, Laurie Berkner’s music is fun and catchy. Kids will love to sing along to familiar classics and learn the lyrics to original songs, too. Thanks, Johanna E.! Multiple teachers love The Piano Guys, who play instrumental versions of popular songs (heavy on the piano, of course). “It plays all day in my room,” says Brittany K.
Another playlist assembled by missbensko and recommended by Sara G., this one has 75+ songs from well-known and kid-favorite movies, like Tangled and Happy Feet. 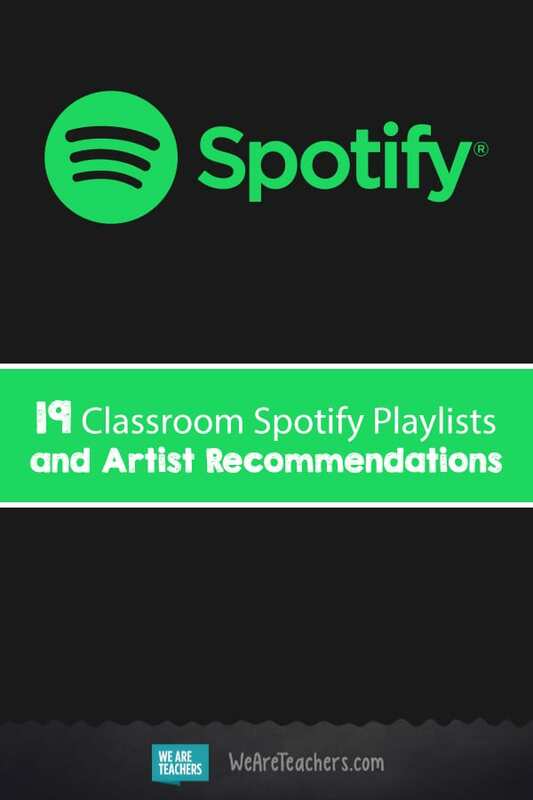 This Spotify playlist was assembled by a WeAreTeachers reader and has more than 220 songs that kids will love. This popular band gave us earworms, like “Birdhouse in Your Soul,” but they also put out several albums of original songs for kids. This Spotify playlist assembles the best of them for your classroom. Thanks to Janna K. for this recommendation. “Dan Zanes has some fun kids’ music that is grown-up friendly,” says Katy M. His folksy spin on well-known tunes makes this music ideal for the classroom. This is another Spotify playlist put together by a WeAreTeachers reader, full of popular songs that are safe and fun for all ages. Try these easy-listening, guitar-led instrumentals of songs your kids will recognize, with no lyrics to distract them while they work. Ana T. wondered if there were any kid-friendly playlists in Spanish on Spotify for her third grade class. This one seems to fit the bill, with a nice mix of canciones en español and English songs. This Spotify playlist gathers age-appropriate hip hop and reggae, all with beats that make you want to move. Be warned: Some of these will stay in your head for days! Looking for quiet, upbeat music to play in the background while younger kids work? Elizabeth Mitchell’s pretty melodies are just what you need. You could just put on a playlist with songs by The Beatles, but why not try this playlist of covers by artists like Johnny Cash and Maroon 5 instead? OK, this Spotify playlist does have its fair share of Kidz Bop. But there are plenty of other great songs on here to enjoy, including popular hits by Imagine Dragons and Shakira. Consider it a compromise. What are your favorite Spotify playlist and artists recommendations for teachers? Come and share in our WeAreTeachers Chat group on Facebook. Plus, take a look at our favorite Pandora stations.